Missy was adopted from Fischer Farms in September of 2015 by Noreen and Bryan Zulaica. 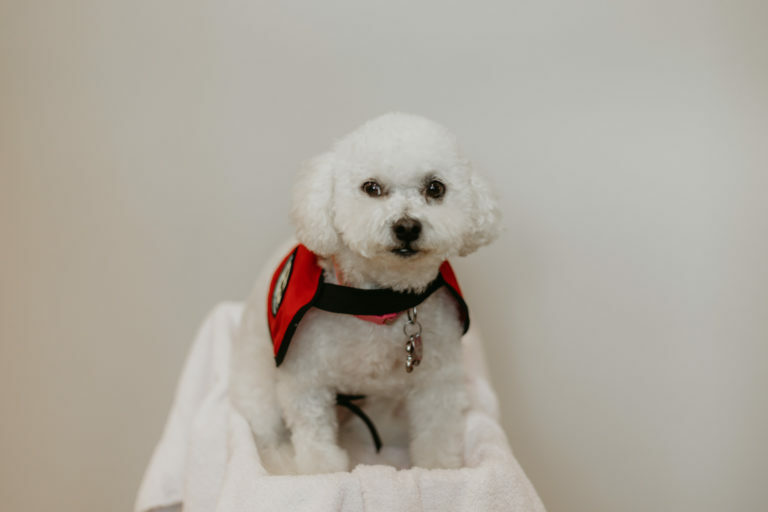 Missy is an integral part of the staff with duties including greeting patients and family members at the desk, motivation/reward for patients, guard dog and helps our patients overcome obstacles. Missy loves snuggling next to patients, belly rubs, long walks around the building and chasing tennis balls.